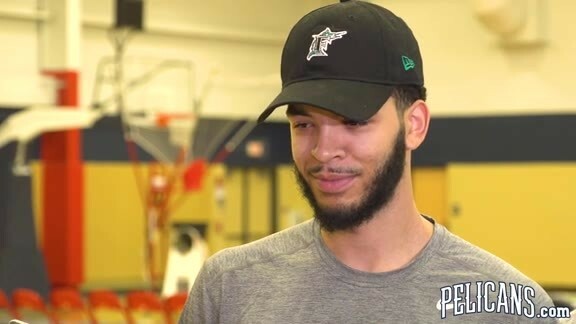 Kenrich Williams wasn’t a lottery pick last June. The TCU product wasn’t a draft pick, period. Amid an array of New Orleans injuries and other distractions, Williams has emerged as a welcomed bright spot on the court, averaging a well-rounded 12.9 points, 9.4 rebounds, 3.1 assists and 1.1 blocks since he began logging major minutes seven games ago. During the same stretch, he’s shooting 48.6 percent from the field and 38.5 percent from three-point range, helping the Pelicans remain competitive by contributing in virtually every category. Williams has immediately become a Pelicans fan favorite by bringing that attitude to the court, aggressively defending, outhustling opponents for loose balls and contested rebounds, while also showing an offensive skill set that was not evident during his brief cameos early in 2018-19. As a result, since Jan. 29 he’s had 16- and 13-rebound performances, a five-game streak of knocking down multiple three-pointers, as well as a 19-point second half vs. Minnesota on Friday. What’s happened since Williams stepped into a much more prominent role has been exceptionally positive and a surprise to many. The 60th-ranked prospect on NBADraft.net’s Big Board last summer, Williams is now making a much bigger impact than the vast majority of players who heard their names called on draft night. As Holiday referenced during his “star” description, many of Williams’ contributions can be measured in numbers – he approached a triple-double against the Grizzlies with 10 points, 13 rebounds and seven assists – but he’s also played unselfishly, run the floor well and been a gritty defender. 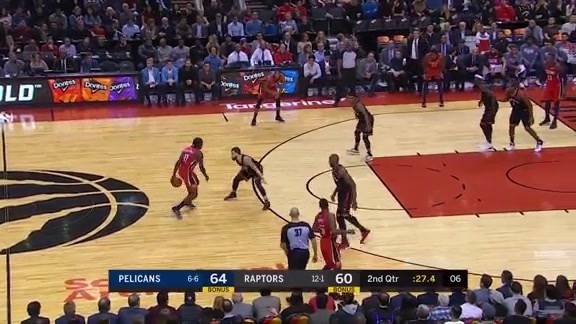 New Orleans has been much more effective recently on the defensive end, an area that plagued them throughout ’18-19.